While Spain is experiencing a record tourist season in 2016, it is also suffering a record year in forest and bush fires. And these make it to the (international) news more easily, when tourists and fires come together, as has happened in the Spanish province of Alicante near the beach resort of Benidorm. Hundreds of residents, and many tourists, had to be evacuated, as fires (probably ignited by arsonists) ravaged near the location of Javea. Since many British and Germany tourists were affected, the event received substantial press coverage in the United Kingdom and Germany (e.g. by the Scottish “Evening Express” here, the German public TV news Tagesschau also reported). 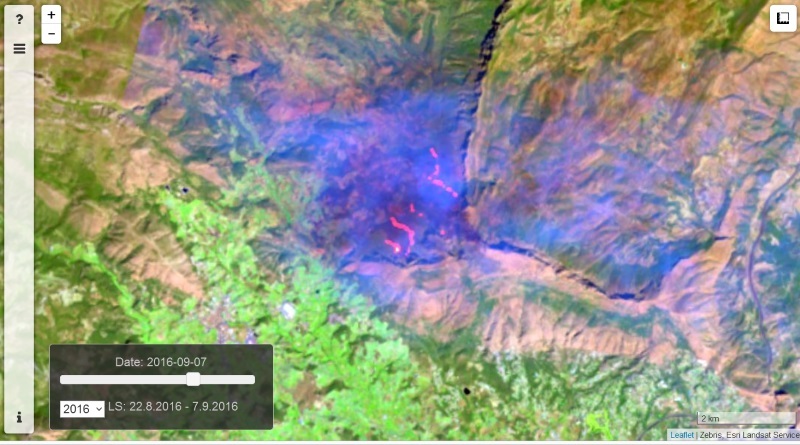 Satellites, observing the Earth from the save distance of hundreds of kilometers from above, provide an overview of fire activity and fire damage during and after the fire event. 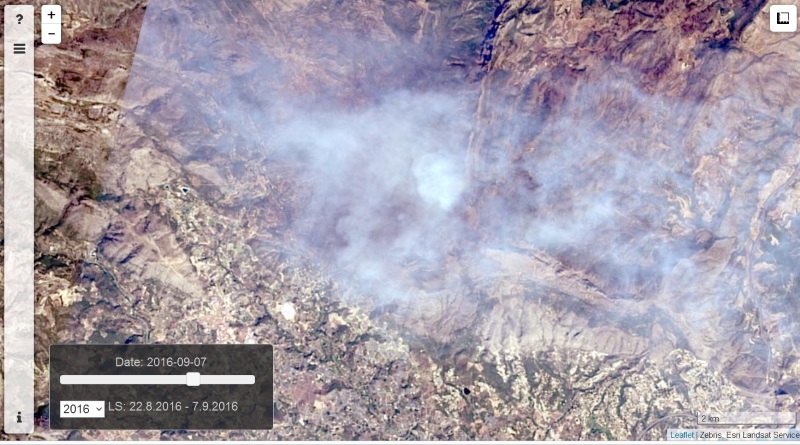 At firemaps.net, we had a look at Alicante these days, and found a Landsat image capturing a large wildfire in Bollula (which is a bit off the tourist loactions), which is shown on top of this page. While you mainly can see smoke in the true color image, the fire fronts are very clearly visible in the false color image. 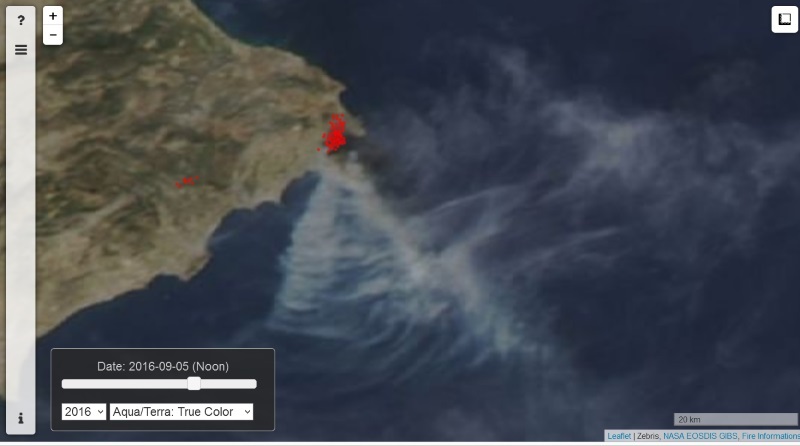 Back to the view from space, smoke coming from the fires can be seen drifting out to the Mediterranean sea over a 100 km, overlaid with the active fire detections on 5th September, 2016. You can further explore the Alicante fires using our web mapping application yourself by clicking here (please be patient, the Landsat image may take a bit to load…).